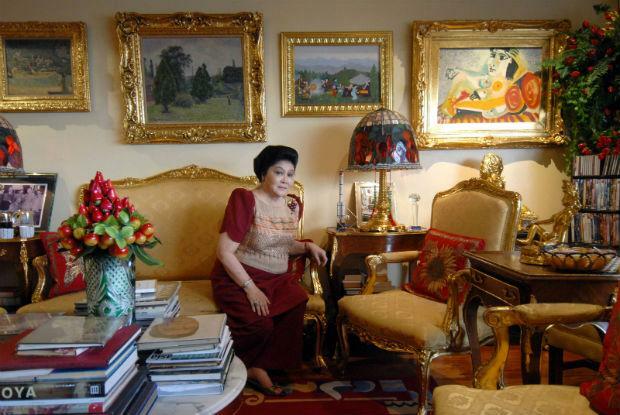 The Sandiganbayan has ordered paintings confiscated from former First Lady Imelda Marcos to be transferred from the central bank to the National Museum. The anti-graft court ordered the seizure of the paintings last September. The dispute now lies with between the Philippines and Ilocos Norte Representative Imelda Marcos and the heirs of her late husband. Pursuant to the order, acting chief Albert dela Cruz of the court’s Sheriff and Security Services deposited 15 paintings with the Bangko Sentral ng Pilipinas (BSP) for safekeeping. BSP moved the paintings, saying in fact that they are not suitable in a place like BSP for store such valuable artwork. The court resolved to order the transfer of the paintings from Compartment No. 12 to the National Museum. “For this purpose, the BSP is hereby directed to coordinate with the Office of the Clerk of Court of this Division within five days from receipt hereof,” it said.